I missed some things growing up... Woodstock, LSD and most other mind-altering drugs, routine unmarried co-habitation, surfing and Hawaiian Pork BBQ. I saw this surfboard sign at the ECSC (East Coast Surfing Championships) in Virginia Beach this past weekend. 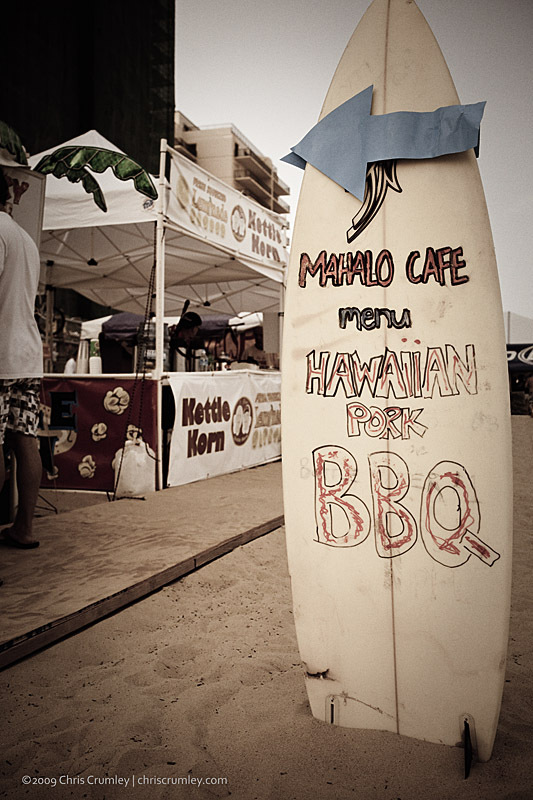 I'm guessing Hawaiian Pork BBQ and surfing are connected. Now I'm curious about it. Gotta find some of the BBQ.